Even if you only want a few lines translated, send the translator the entire document. If you would like to have a part of a record translated (one church book entry, one section of a certificate, one page of a letter, etc. ), you should still send your translator the entire document or all the pages you have on hand. Why? This provides a much greater sample of the scribe’s handwriting for the translator to work with. 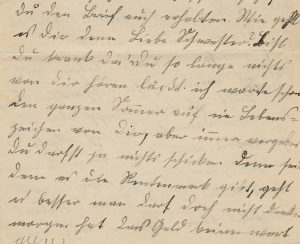 Just as my handwriting differs from yours, no two handwriting samples of the past are exactly alike – so the wider the handwriting sample, the easier the deciphering becomes for us translators. For example, I recently translated a record where I could not figure out the first letter of a last name – it looked a little like a V, but then had a strange cross through it. I scanned the rest of the record, but saw no more occurrences of that odd-looking letter. Fortunately, however, the client had sent me three pages from the same church book where her record appeared, and I finally found that odd-shaped letter in a first name, before the letters “_osina”. As “Rosina” would very likely be the only name with that letter combination, I could now see that my mystery letter must also be an R – but it took three pages of handwriting samples to find it! In this last name, I could read the letters “eusch”, but that first letter was a mystery. After searching through other pages, I was able to identify it as an “R”, which the client then confirmed with additional records. (Extra Tip: To save the translator time (and you money! ), highlight or clearly describe which part of the record you would like translated). Scan your document in a high resolution. Documents should be scanned in as high of a resolution as possible before you send them to your translator. Why? 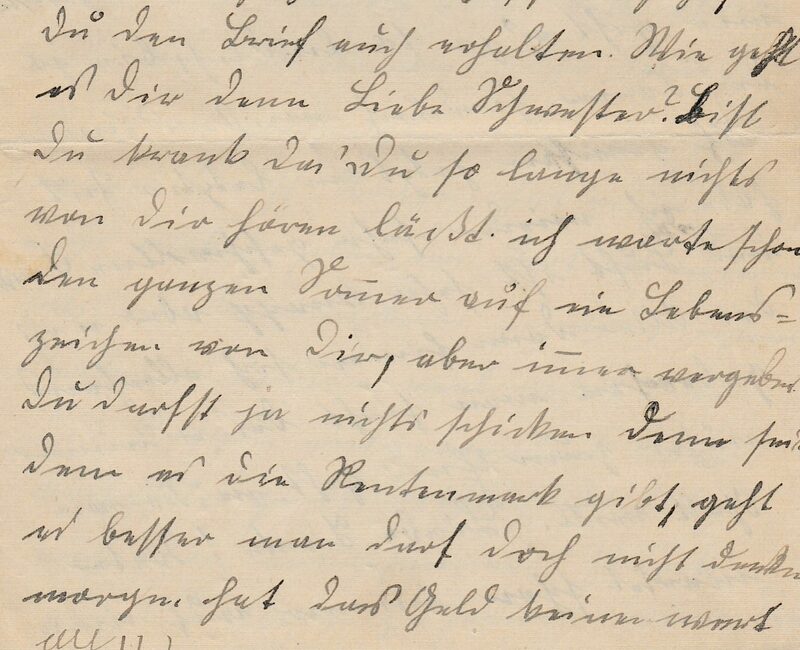 In the old German script, it is very important for us translators to be able to zoom in on the individual letters. Many letters look very similar to one another (see Ten Tips for Deciphering Old German Handwriting for some clues on how to tell these letters apart), and we need to be able to zoom in to see the individual lines and strokes to distinguish certain letters from one another (without the document becoming blurry when we do this). This allows us to provide you with accurate results and spellings throughout your translation, as well as finish the translation in a much more timely manner. We look at tiny little letters all day long – you, and you alone, can save our eyes! Send any genealogical information that you already know to the translator. 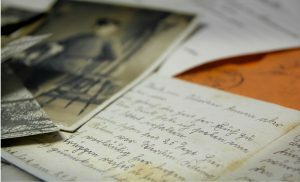 You have likely done a bit (or perhaps a lot) of genealogical research before sending your record off to be translated. If so, tell us what you know – it greatly helps! 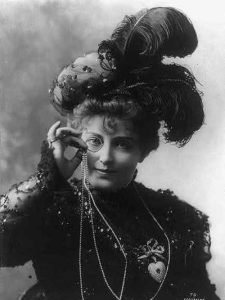 Names can sometimes be difficult to transcribe, as there are many spelling variations and no grammatical context clues to fill in the blanks. 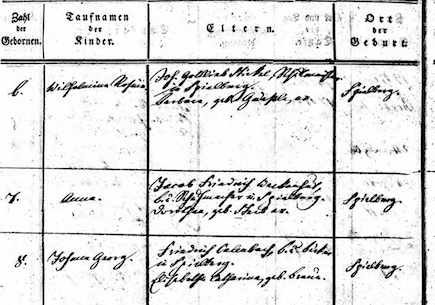 But if a client has already done the research, and knows that this is a church record for his great-great grandmother Walburga Appenzeller in Unteraarmühle, this saves a lot of time in terms of letter-comparison and squinting at individual lines and dots! That being said, a good translator will always double-check a name and let you know if the word looks different from the word you provided – sometimes there are surprises! Tell the translator exactly what the translation is for. Is your translation for publication? Are you making a family book? Is it a birthday or Christmas present? Or do you simply need the information on the record for your notes and research? Make sure you communicate with us translators exactly what your translation will be used for and how you would like the finished product delivered. 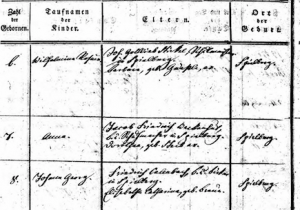 For example, I often include footnotes in my translations if I find any additional information that you may find interesting (does your ancestor’s record mention a battle? I would then provide information about when and where that battle took place in the footnotes). People who have reviewed my work usually enjoy the footnotes, but perhaps you want this translation to be a bit more formal, and you don’t want my thoughts in your final product – which would be absolutely fine with me. A happy client equals a happy translator, so don’t be afraid to communicate what you want. 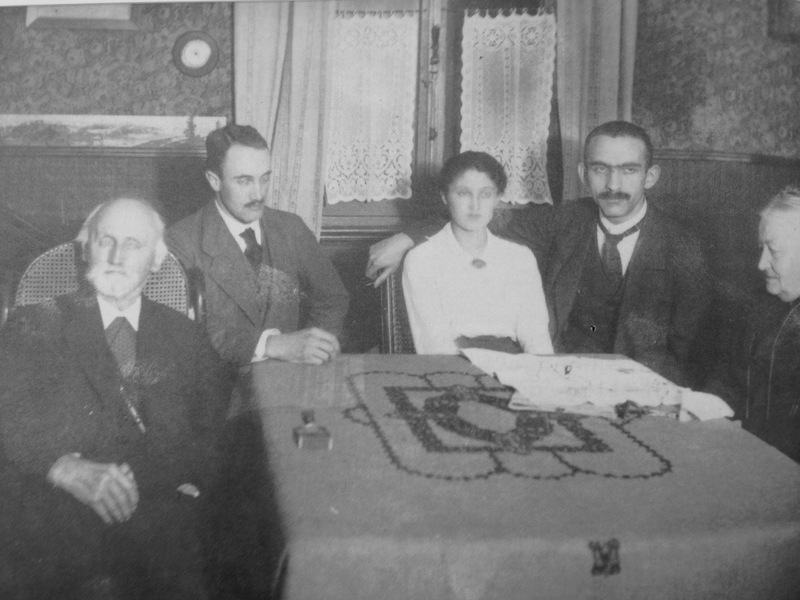 Share your genealogy excitement with your translator. We genealogical translators are usually avid history lovers and enjoy solving puzzles as much as you do – so that means that we are thrilled to hear about your genealogical breakthroughs once you receive the translation. I get so excited when my clients tell me that the translation helped them to find a name they’ve been searching for for years, or that their family member started crying when they opened the translated diary of their grandmother they never got to meet (well, not necessarily the crying part, but the fact that the translation meant so much to them!). These are my favorite e-mails to receive, and it makes my work feel so much more meaningful. This shared experience then helps to strengthen the client-translator bond, and we will both look forward to working together the next time as we fill in your family tree. Happy researching!